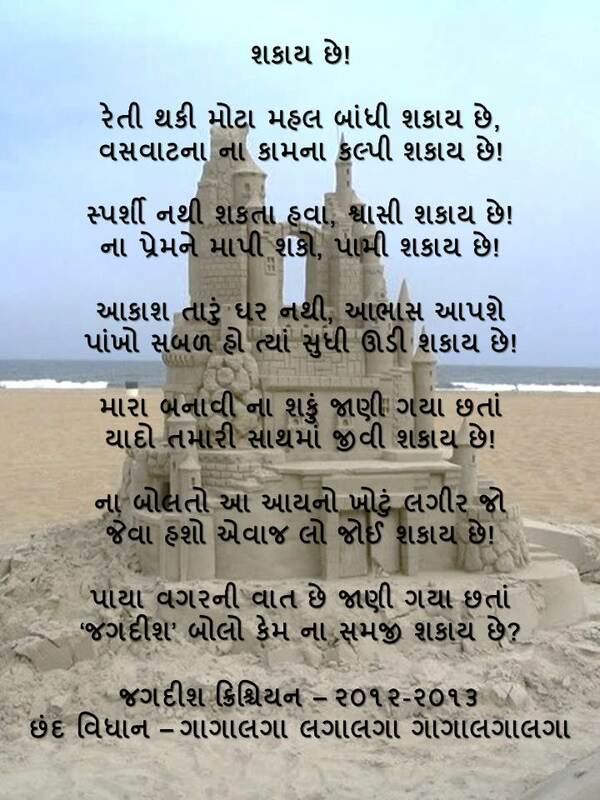 આયનો કદી જૂઠ બોલતો નથી. ગુજરતી શબ્દ અને સાહિત્યમા સ્વગત છે.લખ્યું એ જ બહું ગમ્યું અને હવે બધુ પાછું વળશે એ જ અસ્તુ. good expressions. nice to see you on wordpress after a long interval. Nice to see you after a long time Mota, Such a wonderful Gajal, Keep it up Mota!! અતિ સુંદર!! HAVAA ANE PREM—-can not touch,just an experience…good combination of words…like it..
Daad mangi le tevi gazal!